To a tennis player ‘love’ can mean one of two things – they’re on the back foot (0-15), or they’ve got that winning feeling (15-0). Off the tennis court an Aussie male will likely sum up his passion for AFL or NRL in one word – love. Seeing their beloved team win a final, that’s their definition of true love. But if you ask their better half, they’ll more than likely have a very different opinion. When there’s a birthday, a wedding and of course the world’s annual day of romance, Valentine’s Day, you’ll often find right at the bottom of a greeting card three words, ‘Lots of love’. Alternatively, if one wants to keep it super neutral, they’ll just stick with the standard ‘From’. Same, same. If you’re under the age of 30 you likely substitute all your girlfriends’ names for ‘Lovely’ or ‘Love’ for short – alternatively the classic ‘Hun’. Guilty as charged. The point is, we all express love differently. I’m in the middle of reading a fantastic book by Gary Chapman. It’s called The 5 Love Languages. Just in case you didn’t know, it’s a #1 New York Times Best Seller. According to Gary, his book shows you “the secret to love that lasts”. Considering over eight million copies have been sold, it’s fair to say he’s onto something. 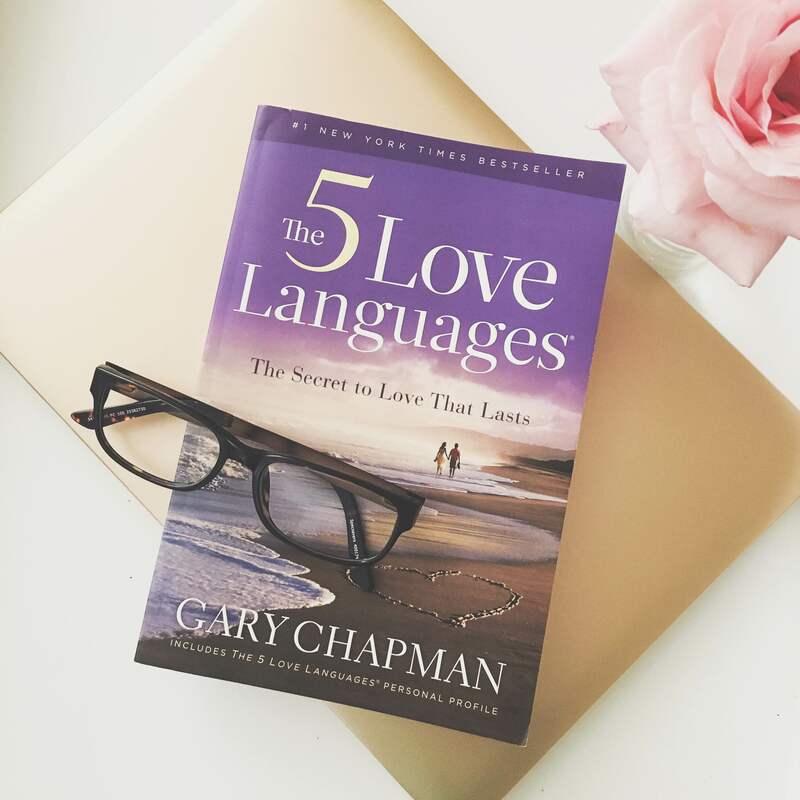 In case you haven’t heard of the self-help book, Gary reveals that there’s a total of (you guessed it) 5 love languages: Words of Affirmation, Quality Time, Receiving Gifts, Acts of Service and Physical Touch. My hubby Brendan and I are currently halfway through the book. So far we’ve learnt about the first two love languages. We’ve decided to read the book together to discover how we each relate to a particular love language. Now here’s a truth bomb. We were gifted this book two years ago. Naturally we’ve been meaning to read it for some time, despite our intentions, we never made it a priority. Life can get a little hectic sometimes and we’re no exception. Though we all have external commitments, your most meaningful relationships should feature on the top of your to-do list. But what do I mean by this? In order to better understand yourself and those around you, you need to commit to them. You literally need to block out a day, a couple of evenings, an afternoon (really whatever it takes) to build your relationships. Whether it’s a friendship, a work partnership or a romantic relationship, in order for them to blossom, they require your attention. But before you can even give them any of your time and energy, you need to first allocate time for yourself. Time to do what you love. Yes, it’s great to tick off some chores weighing down your to-do list, but it’s not as fulfilling as you taking time out to do what truly makes you happy. It’s in these moments that you uncover more about you – what makes you tick and if you’re lucky, your most prominent love languages. No matter if you’re in a relationship or a happy single lady, there is so much to gain from discovering your favourite love languages. By doing so, you’ll find you’re an even more attractive person to be around. Why? Because those in your company will see you’re more self-aware, confident and content. Once you embrace love, you’ll attract more of it.